How is the poultry industry overcoming campylobacter? Earlier this year the poultry industry faced by a food poisoning scandal - nearly 75% of all supermarket chickens were found to be infected with the UK's most common cause of food poisoning, campylobacter. So what has the industry been doing to try and improve things? 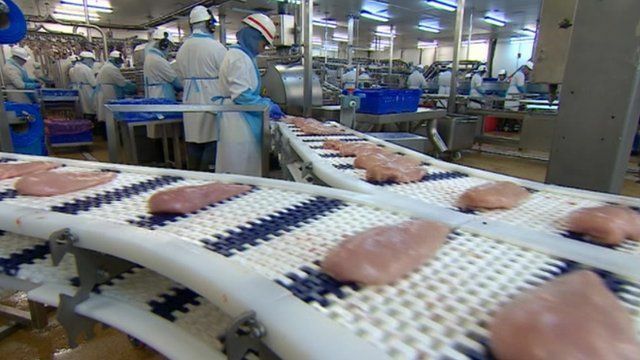 BBC Midlands Today's rural affairs correspondent Dr David Gregory-Kumar has been given exclusive access to the Cargill poultry plant in Hereford, one of the largest in the UK, to see how supermarket chicken is prepared.